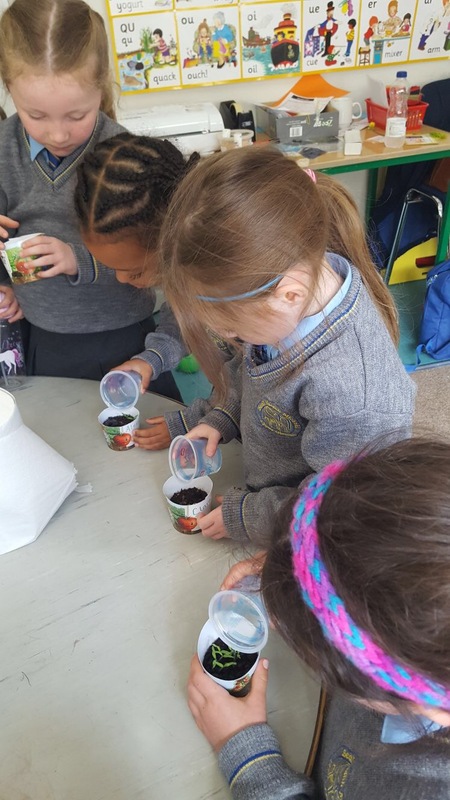 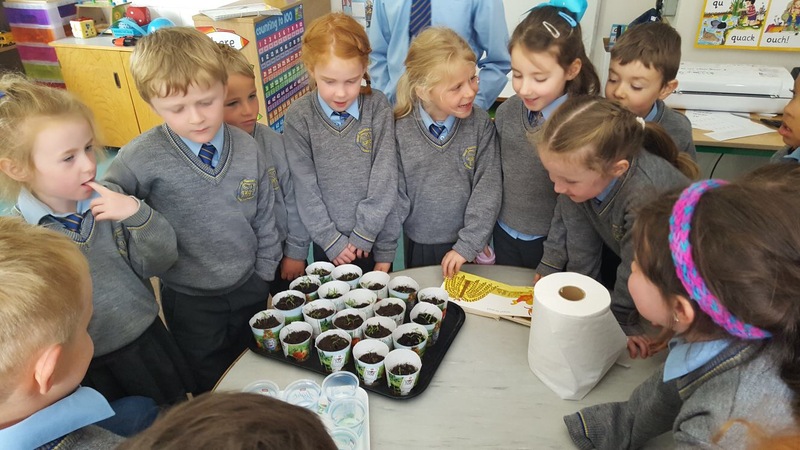 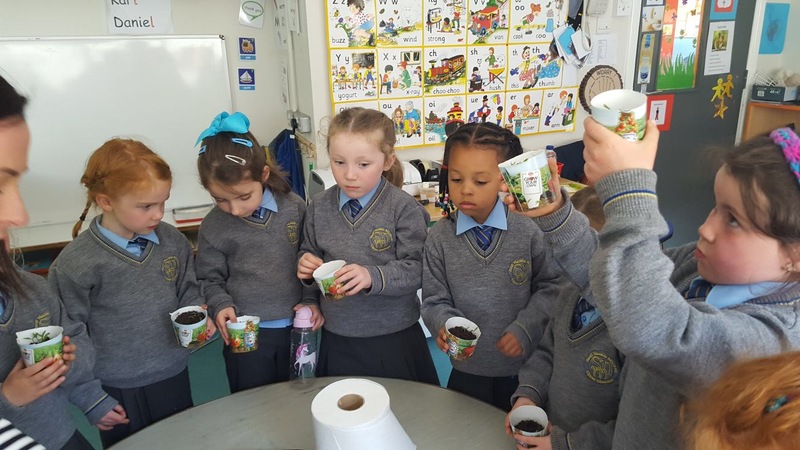 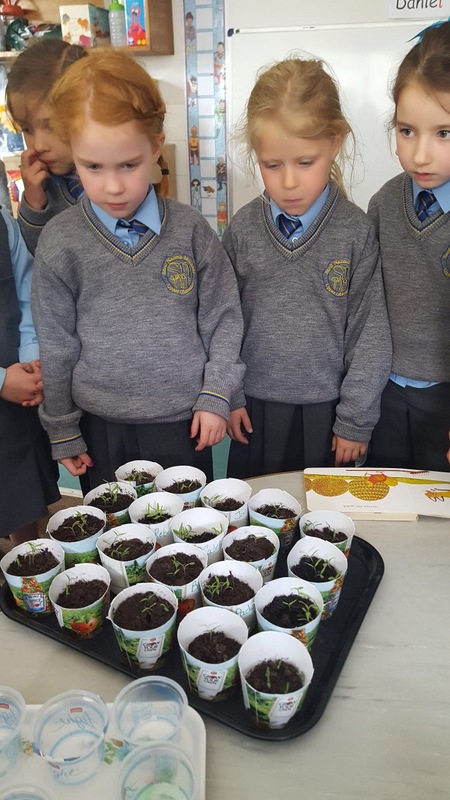 The Junior Infants have recently planted tomato seeds and are watching their tomato plants grow. 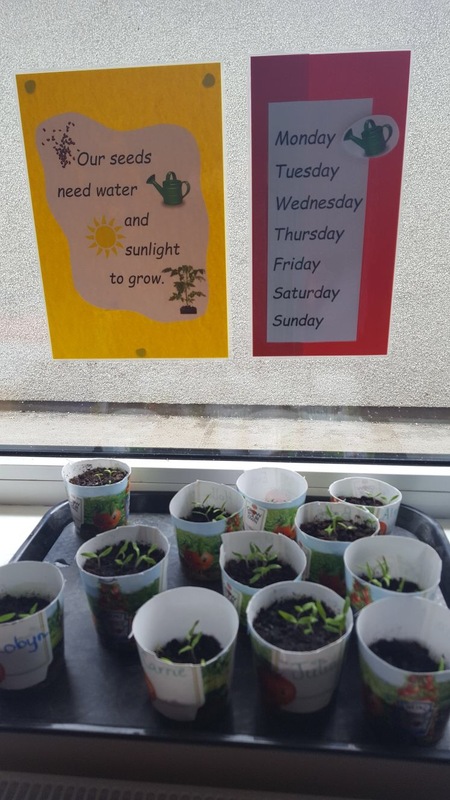 Ms. McDonald found a lovely sunny spot for our plants in her classroom and we have been watering them every five days. 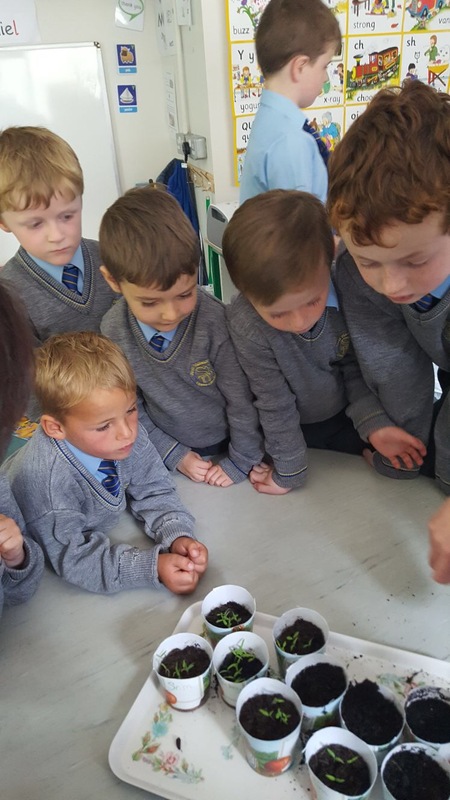 See photos below.